As a guest at Waipouli Beach Resort E-406 & RE/MAX Kauai, you'll have access to Kauai's Premier Concierge Service at we will help you build your perfect vacation. In the event Guest cancels a reservation no later than ninety (90) days prior to scheduled arrival, all monies will be refunded, less a cancellation fee of $175.00. In the event Guest cancels a reservation less than sixty (60) days prior to check-in, Guest shall forfeit the Reservation Deposit and shall be responsible for paying all remaining rent and taxes, with the exception of the cleaning fee and Security Deposit (if applicable). All cancellations must be made in writing (emailed or faxed cancellations are acceptable). We do not make exceptions. No rental refunds will be given for early departure or late cancellation. RE/MAX Kauai will not be liable under any circumstances, including substitutions, to refund Guest for any unused portion of booked accommodations or services. Changes can occur after a reservation is made as a result of sale of unit, remodeling, mechanical failure or servicing. Should the Rental Property be made unavailable for any reason beyond the control of RE/MAX Kauai, RE/MAX Kauai will use its best efforts to provide Guest with a substitute vacation accommodation of equal value. If no other rental property is available, RE/MAX Kauai shall notify Guest and refund any payments made as soon as possible. Guest understands that Owner retains the right to sell the Rental Property or change management companies at any time. In the event the Rental Property is sold or transferred to new management, Guest understands that RE/MAX Kauai is under no obligation to provide a substitute vacation accommodation of equal value. RE/MAX Kauai may however, at its option, act as an intermediary between Guest and Owner to look for a substitute vacation accommodation of equal value. If RE/MAX Kauai is unable to find such accommodations, this Agreement shall be cancelled and terminated and RE/MAX Kauai shall refund all payments made under this Agreement. Guest understands that RE/MAX Kauai shall not thereafter have any liabilities or obligations to Guest arising out of the unavailability of the Rental Property and/or the alteration of Guest’s travel arrangements. Except as provided above, reservations are non-transferable. RE/MAX Kauai may terminate this Agreement upon the breach of any of the terms and conditions of this Agreement by Guest or any occupant of the Rental Property. In the event of such termination, Guest shall not be entitled to the return of any monies paid to Owner or RE/MAX Kauai. Upon such termination, Guest and all occupants in the Rental Property shall immediately vacate the Rental Property. RE/MAX Kauai in its sole discretion reserves the right to refuse or discontinue service to any person(s) and/or to rescind any contract for accommodations or guest services. We had a great week! Our condo experience was excellent, clean and well-equipped. The resort is quiet. The pool was beautiful and our grandkids had a great time swimming and water sliding! Highly recommend." We stayed in this condo for a little more than a week. We loved it. Nice view of the ocean and very clean. The kitchen has everything you could possibly need." This condo was clean, spacious and had an amazing view! The air conditioning was great, the kitche. Was beautiful and stocked with anything you could need. I would recommend this condo to anyone." Great condo, great location. " Beautiful view and well-appointed condo with a full kitchen. Love the pool and central Kauaii location making it easy to travel to Princeville or Poipu. This condo complex was a very nice place to relax and enjoy our trip to Kauai. Nicely fitted and comfortable with most everything we could need. Clean and well appointed with a comfortable bed. The complex is well maintained, has a really nice pool, albeit a bit on the chilly side, nice beach to sit on and relax and is well located for exploring the island. After seeing all parts of the island, we actually liked this location best. You can get to all beaches within a reasonable amount of time and sightsee very easily. " Loved staying here. The only gripe I might have is that maybe if it provided some boogie boards or snorkeling gear for us like our friend's condo, I would give it a full 5 stars! But overall, it was fantastic!" This unit was everything it is said to be. High appliances, and very nicely appointed. The owners thought of everything. The kitchen had a great selection of cookware, and stemware. The bed was super comfortable, and the views were unforgettable. The pool was so much fun, even for us older folks. The property was very well maintained. The tropical landscape was beautiful. Waipouli is so conveniently located, with a starbuck & safeway right across the street! We would highly recommend this property for couples, honeymoon, or small family. We loved every minute we were here. " So the rental was amazing! Beautiful view, the restaurant was AMAZING! Some of the best food we had, the bed was decently comfortable, it was close to everything. My only complaint was the “personal concierge” they hired. Which I thought was going to be awesome but she was so incredibly rude to us every time we called her about something. She had a bad attitude for someone who was basically doubling the cost of any activities she “helped” us plan. It was really dissapponting as we were there on our honeymoon and she knew that and was still rude to me. So thanks for that, Sheryl! Also it’s a complete RIP OFF to use them- just book your own and save yourself hundreds of dollars. But besides her itself, the condo was good- hopefully they won’t use her anymore." Lovely unit...made for a remarkably relaxing vacation. Great location. " The pictures don't do the property justice, particularly the views. It is a very nice complex and the unit was nicely furnished and very clean." Very clean and modern. Great location (east) just north of airport in between all the places we visited. Also very convenient with eating places, Safeway, ABC store, Foodland etc just across the street." Beautiful place to stay with a beautiful view! The property manager was so nice to work with and it was located in the perfect place. I would definitely stay here again!" Had a wonderful time and the condo was great. Perfect for ovation on the isalnad to the enjoy both the north and south beaches "
This unit was so well equipped with all the comforts of home. No detail was missed. Monogram beach towels, nice cooking utensils and serving pieces. The best sofa sleeper I have ever slept on. The view was incredible, very clean. Safeway grocery right across the street.Great location not far from airport and equal distant to North and South Island.The safe was not operating but that was sooo minor. I would return to this unit again on my next visit to Hawaii. Impeccable!" This resort is perfectly located with an amazing pool and awesome restaurant!" "First Class in every respect! This is our first visit to Hawaii so had to rely on photos and descriptions of this property. It turned out to be even better than pictured. Top drawer furnishings and maximum comfort. Location is ideal for travel anywhere on the island and sunrises quickly became morning rituals. Malaho for a very memorable 25th anniversary celebration!" Absolutely loved it. Although not great weather it was still a very relaxing time. " The room was beautiful, check in and out were very easy." We booked the condo thru VRBO. It was pricy (for us) but the pictures looked great and it was in a good location (Kapaa). The room was exactly as advertised. Very clean and neat, well-appointed, with lots of light. We could hear and see the ocean from the bedroom and living room, as well as the pool portion of the resort. The kitchen had everything we wanted or needed, and the onsite restaurant was great (open air & beachside with a great view of the ocean). We were able to easily watch some DVD's in the evening on the TV. The space, itself, was fabulous. The location was even better. Halfway up the island, it was easy to get to everything on the North side, as well as the South. Our only complaint was the Internet. Very spotty and slow. I had some work to do and it was difficult to get onto the system. I called the IT support line, and never got a call back the entire week. On the other hand, if you're on vacation ... why worry about work?" Had a great time and the condo was beautiful! Wonderful view from the balconies. We were a bit disappointed with a couple of things. I thought the jacuzzi tub as advertised had jets and was looking forward to a relaxing jacuzzi in private but was surprised that it did not have jets. That was a biggy for me! Also the property needs some repair on outer doors, cleaner rugs in the hallways, etc. Very excited to use the pool and lazy river and was very disappointed that it was sooo cold!! Spoke to an attendant and she said he doesn't heat it all the time. Well, Thanksgiving week should be heated and winter months!! Could not get into the pool once during the week, no wander it's so clean!! We did pay a lot to stay there and that was a draw for us. " Well maintained and well provisioned unit. Likewise for the property. View from the room was better than we expected. Part garden, pool, lazy river, and ocean. Nice combination with no immediate neighbors looking right into the unit. The high end appointments (sub zero, wolf stove, Drexel furniture) made for a upscale stay. Location on island was very convenient - right in the middle of the 7 mile beach front bike / walk trail and just a mile or so from downtown Kapaa that had many unique places to eat. Not that far to drive to other island locations (north / south shore). The only real weakness was not having a swimming beach at the property - but it was a minor issue. Would definitely stay again - overall great time and good value." We loved this condo - it was spacious, comfortable, modern, clean, and had beautiful views. We found it to be well-maintained and the whole rental experience was flawless. Although we didn't really interact with the resort staff regarding the rental itself, we found them to be friendly. I'd recommend staying away from the restaurant onsite (Oasis). We found it to be overpriced for the good quality and the service. We were ignored most of the night, while our neighboring table got above and beyond service (free shots). I would recommend trying Street Burger (~5 minute drive away). Their food was EXCELLENT and the staff were wonderful. Overall the stay was a great experience. We'd definitely stay here again and would recommend the unit to anyone." I brought my daughter to Kauai to celebrate her sweet 16 birthday. We have been to the island often and have stayed in the past at Lae Nani in Kapaa or the Grand Hyatt in Poipu. I was hoping for something in-between that had Air Conditioning since last trip I was too hot. Waipouli Unit E-106 offered all that I expected and it's a lovely room just as it looks in the pictures. Every thing is first class and extremely clean and new. However, the couch does not make into a bed but my daughter had no problem sleeping on it anyway. The complex though seemed to be missing that Aloha laid-back feeling. It is beautiful, clean and well managed. The staff are very friendly. What was missing for us was probably due to the crowd that books there, most with loud kids and not very laid back adults. That isn't really our Hawaii style. Consequently, we never used the pool or spas, but the lounges under the trees out by the beach were very nice to sit, read and take in the view. With a series of tropical storms passing the islands the seas off Kapaa were too rough to swim in. Down south at at Poipu, shipwreck and brennecke's beach were our go-to for ocean swimming during this visit." This condo was fantastic. It was top floor with a gorgeous view of the pool and ocean. The kitchen was fully stocked with cooking equipment and had high-end appliances. It was great to be able to go to the grocery store across the street and cook at the condo. The building and pools were well maintained, and pools were not overly crowed. The bathroom was huge and the dual vanity was great." This was a well-kept rental unit delivering more than expected. The view was phenomenal and the amenities were great. we are very pleased with our decision to stay here. Thank you!" Beautifully decorated, amazingly clean, phenomenal ocean & pool view. Bed was comfortable, plenty of towels and everything you need. Truly an amazing rental. Even the weather was cooperative. Loved the sandy floor of the hot tub. Remax staff was extremely attentive when the freezer went out--needed ice for Mai Tais! Offered to move us but we didn't want to leave the unit so they brought cooler with ice immediately. Only one issue, slow wi-fi but we think it was because everyone is on it. Choose this unit, you'll be glad you did. " This was our second stay at Waipouli Beach Resort and we love it. This is a one bedroom unit and provided all the amenities we needed. We had a wonderful view of the ocean (saw many whales) and the pool area which is beautiful. The decor in E-406 is outstanding. The only negative I found was the lack of several important items in the kitchen especially for an extended stay. An example is there is not a metal spatula to flip burgers with down at the grill stations. Was afraid to use the plastic one on the grill. This location is very convenient on the island.  You can go either direction quickly. There are grocery stores, restaurants and ABC store within easy walking distance literally across the street. The Oasis on the Beach restaurant is located on property and is very good. Would recommend this unit for a couple, anymore than that would be crowded. Great place to start and finish you day in Kuai. Pool and hot were great late afternoon berfore dinner. " Second time at Waipouli and knowing the layout from the first time I thought I knew which units to choose from. Unfortunately I did not take into consideration I would be there during Thanks Giving school break and the noise from the pool area by all the kids. Must be getting old. Great view over the pool area and distant ocean.The unit was nicely decorated, bed and seating were comfortable and the whole complex is well built to keep noise level down with doors closed. Great place for families with kids but would not recommend as a quiet getaway for a couple when you choose a pool side unit. As far as E-406 is concerned I have a couple of other comments. There was enough bedding in the unit for a 4 bedroom home. The closet contained a dresser with no empty drawers,closet top shelf stuffed with bedding,plus other items in closet-vacuum cleaner, folding crib, safe that did not work.Removed some items and stored in large corner Whirlpool tub along with numerous pillows that "decorated" the bed just so we could hang our clothes and stow our suitcases. In the kitchen it would have been nice to have some decent plastic ware such as for beer and wine to take pool side. Speaking of wine I kept looking longingly at the wine glasses that were locked up in the cupboard above the microwave while I had to use the almost thimble size glasses that were available." Second visit to this Resort, this time facing the ocean and entire swimming area. Love the view, weather was great, trade winds had picked up so 80 degree days were very comfortable. Doors open toward the ocean and stayed open all night, courtesy of the trade winds. Management was very responsive to a leaking toilet valve. Another wonderful vacation on the Garden Isle." The condo and resort were amazing! Loved our stay there!" This home is just as pictured. It is very clean AND comfortable. There were a few dishes that needed to be washed before we could use them but I find this common in condo rentals. The kitchen was very well stocked and is beautiful. The bed was very comfortable. The 12 pillows on the bed was excessive and if you need a featherless option because of allergies, they are in the pillow shams. There was no good place to store our luggage, the bedroom closet should be cleaned out for this purpose. There were plenty of towels and washclothes, several beach towels, plenty of soap and paper products, even HE laundry detergent. The grounds are beatiful. The location is perfect. Loved the view. I would stay here again. Also appreciated the early check-in and a late check-out." We had a wonderful stay at Waipouli Beach Resort. It is a beautiful setting with well maintained grounds. The pool and slide are great and it was nice to barbecue on the outdoor grills. Room E-406 was well furnished and very clean. The kitchen was well functioning and the icemaker in the large fridge was a well used item. There was a good selection of pots and pans and bowls etc and even wine glasses. My only suggestion would be a new set of knives as the set on hand was not that sharp. But that is pretty minor. Overall a great value. Would return to the same unit if we come back to Kauai. Also the process of the rental contract with Remax was very smooth. No issues with anything regarding this rental. " We had a lovely vacation in Kauai. Everything in the condo was as described on the website. The location of the resort was perfect for exploring both the north and south sides of the island. I would stay there again." We really liked the condo itself, and the pool is amazing. We thought there could have been more lounge chairs at the pool, and some umbrellas would have been nice. The restaurant was also very good, but noisy during happy hour. Very family friendly, so if you're looking for a quiet place, this isn't it. " mattress in bedroom needs replacing and some new bedding would be appreciated. Kitchen knives are very dull and need replacing. Could not even cut fresh fruit!!!" This was our first trip to the Hawaiian islands. We booked a ground level condo with remax and it got upgraded to penthouse. We had everything we needed and more in our condo (E406). The condo is conveniently located on the island for shopping as well as sightseeing. We can't wait to go back. " This was the perfect place to spend our honeymoon! The condo was amazing. The view was awesome overlooking the pool and the ocean. My husband and I love to cook and we found the kitchen fully stocked with appliances, cookware and so much more. The location was perfect as it was in the middle of everything we wanted to do. This is a great place to stay!" Great Location and Beautiful Condo"
Everything about this condo was perfect! The condo itself was clean, had every kitchen amenity we could ask for including a blender, toaster, etc., and lots of kitchen basics like oil, salt and pepper. The furniture was really comfortable, it was great to have extra beach towels to use and things like laundry and dishwashing detergent provided. Being on the top floor with an ocean and pool view was wonderful. We fell asleep every night listening to the ocean. Our kids loved the pool and waterslide- the only complaint was that the pool was a little chilly, but once you were in and swimming around it wasn't too bad. Having Safeway and Papaya Natural foods across the street was awesome, and being on the east side of the island was great- not crowded, less touristy, close to both the north and south shore. We hope to return to this very unit some day!!" We found the condo to be very clean, beautifully decorated, and VERY comfortable! We thoroughly enjoyed our stay! We'll be back!" We had a great experience staying at the Waipouli beach resort. The property exceeded my expectations, and the pictures posted don't fully reveal how amazing the resort actually is. The location is central so that you can experience all of Kauai, 30 minutes drive to the Northern towns such as Princeville, and 30 minutes South to Poipu, which seemed to have the best weather. There's also the convenience of a Safeway across the street, and a beautiful running/cycling trail a block away." The condo is well furnished and clean. We loved sitting on the lanai and enjoying the view. It's in the perfect location to enjoy Kauai." Jan 30, 2014 - Gloria B. "Freezer door very hard to open, always locking. We had a wonderful time at Waipoli Beach Resort!! Great home-clean comfortable & cozy! Pool & fitness center always immaculate & enjoyable also. We had a Problem with where to dispose of daily trash... No marked locations, maintenance staff did not know where nor did other guests! Instructions in unit were incorrect- More of an inconvenience to take our trash bags to 1st floor outside trash cans! Complex needs better trash disposal system ." In a nutshell, this rental was first rate! The place was clean, bed was comfortable, the furniture not dated, the view was stunning, and the pool was sweet. Centrally located with easy access to all the Kauai sites in the north and south. Safeway and Starbucks located directly across the street made getting groceries and coffee mighty convenient. REMAX did an outstanding job with this rental. We were very, very impressed and highly recommend E406. 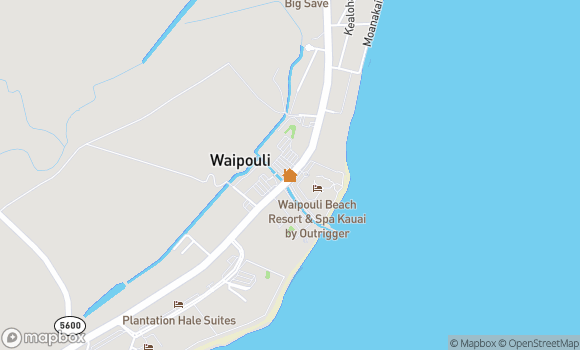 Wapouli Beach Resort is centrally located in Kauai - no more than 45 minutes until the road ends on the Northern part of the island and no more than an hour and a half to Waimea Canyon on the Western part of the hour. The resort itself has an outstanding pool with warm (a plus!) water. It was a treat to use it every day after our siteseeing and other activities were over. The resort is located across from a shopping plaza with a Safeway supermarket that is open 24/7 making cooking for yourself very easy. We had a 1 bedroom 2 bath suite. The kitchen was updated with top of the line appliances and every kitchen tool you might need - toaster, blender, tupperware, bowls, salad spinner, and more. Likewise the bathrooms were modern and up to date. The kitchen was also stocked with salt, pepper, and sugar. It was nice not to have to purchase these staples. There was a washer dryer in the unit with detergent (very helpful not to have to buy). The bed was far too soft for my liking but I was able to prop myself up with pillows to prevent sinking into it. The apartment was furnished with many knicknacks and while generally clean, it was far from spotless. Dust on the louvered doors leading to the washer dryer, dust on the bedroom closets, sand on the countertops when we first entered the apartment, dark dirty marks on the bottom of the curtains. That said, our A/C broke on the second day and the management company was there within the hour to fix it. We went out of the day and returned to find it repaired. They must have made a mess fixing it, for although they cleaned up after themselves, I found 7 towels in the washing maching when we returned. No problem, I just threw them in the dryer and then back in the cabinet once done. Overall, I would recommend this property." We had a great time celebrating out 20th anniversary. The location was very convenient on the east coast of Kauai with shopping nearby and similar drives to the north coast or south coast. The room was high quality, comfortable, clean and had all the amenities we needed. The wifi was spotty for some reason and wouldn't always respond even though the signal was strong. Perhaps overloaded by other guests nearby. The room was very quiet when doors were shut keeping pool noise and distractions to a minimum." I rented a 1 BR, 2 BA apartment in the Waipouli Resort. I was in awe of how tastefully the apartment was decorated and the fantastic view over the pool and ocean (4th floor in Bldg E). It was a most luxurious experience at Waipouli and we enjoyed the central location that allowed us to alternate between going north and south to visit beaches and nature. My 7 year old daughter LOVED the water slide and the jacuzzi and spent hours at the pool. She quickly made friends with kids from the many families that stay at Waipouli. We could not have been happier with our vacation. It was pure bliss!" My husband and I went to the WBR for our honeymoon and it was everything and more we hoped it would be. Wonderfully clean and the staff was so friendly and helpful. Great location on the island and the beach is only a few steps away. Some of the folks we spoke with who were also staying at the resort said it was like this every time they have come back and that's why they keep coming back and that's why we will too. Cheers to a wonderful time and a wonderful place to stay!." Our 5th trip to Kauai, and 3rd time staying at Waipouli Beach Resort; first time with Re/Max VR. This is a premium room with a fantastic view of the ocean. We love the property and take full advantage of the pool, hot tubs, fitness room (nicley accomidated) and beach. Love the fact Safeway is across the street. Property centerally located on the Island, makes the days travels easy. This was just amazing. From the booking to arrival everything was just fantastic! Will be going back. Perfect location." We were very pleased with the Waipouli Beach Resort. The pool was great as were the hot tubs. And, there was a convenient and very good restaurant in the complex (Oasis on the Beach). Groceries were easy, there were 2 grocery stores in walking distance, and it was close to all of the activities we did. The condo itself was clean, quiet, and spacious. We appreciated having a washer/dryer and enjoyed the luxurious bathroom." This property is centrally located and right on the beach. Our room faced the ocean with a view between the two wings of the complex. The kitchen is fabulous with top of the line appliances, Our condo was very tastefully furnished with a comfortable bed. Grocery and other retail stores within walking distace. A variety of good restaurants are nearby. We had a fabulous time. This is our third stay at this condominium complex and we have had a positive experience each time. We would definitely stay there in the future. " Our Remax Agent was very helpful and we had a wonderful stay. Beautiful view of the ocean and pool! The rooms were new and clean. Would highly recommend this resort. " The condo unit was very nice and in excellent condition. The view was great. Proerty management was helpful." "Perfect ! We would definitely stay at the same place again! problems whatsoever. Prompt response; everything was exactly as promised & expected. I would highly recommend the Waipouli Beach Resort. Condo E-406 had a beautiful view, & was convenient (near the elevator. Our only regret was that we didn't stay there longer!" Very enjoyable experience! Beautiful property and condo unit. Management staff and the housekeeper were very helpful with our questions. " Loved the location and view from this condo.Management staff were very helpful.However the sofa sleeper does need replaceing if used as a bed. We really enjoyed our stay." Overall, this place was awesome. We wanted to stay at a condo where we could cook our own foods, which was so easy given the location with farmers markets nearby along with 2 grocery stores across the street. Only downside was the towels smelled like they needed to be bleached and the hot water wasn't that hot. There is a great soaking tub but never got to enjoy it because the hot water runs out after the tub fills only a little." Loved the property overall and loved our condo. Would definitely come back and would recommend this property to friends/family. We didn't bring our son on this trip, but the property is great for kids. The only negative was that we tried to get in touch with management during the week a few times and calls were not returned. When we did eventually touch base, our request was taken care of promptly. " Located in an easy to find, extremely convenient location, we loved this condo! It was immaculately clean when we arrived with wonderful views of the pool and ocean. Only a couple small drawbacks...could have used more towel bars. Had a hard time finding room to hang used towels. Then they requested you wash them before leaving which I thought was ridiculous considering we paid a cleaning fee upfront. We would have also appreciated a later checkout time (10 AM) since our plane left so late, but when I asked the on-site manager about a slight extension, she said I had to call the main office. When I tried to contact the office, however, I was only able to get voicemail. We just ended up leaving on time, but would have been nice to have been able to hang out on the grounds a bit longer. Good thing we didn't have any serious concerns as I'm not sure how prompt the attention would have been. Overall, extremely pleased with our stay. " Best stay we could have imagined." The property was exceptional, location was convenient and close to great outdoor activities. My wife and I stayed in E-406 for a week in late April. The unit was very comfortable and clean, latest appliances and bathrooms. Unit was back off from the ocean and pool, so quiet but still great view of pool and ocean. We opened the doors each night to listen to ocean waves and overnight temps are very comfortabe with doors open. Simply relaxing. Pool area was never crowded and kept in excellent condition. I would recommend this property and unit to anyone looking for a great location to access all parts of island. We had a remarkable time and can not wait for our next chance to come back. " Great condo ! a truly great location and relaxing surroundings . Only drawback was this location caters to more families so the noise at the pool was a tad loud . All in all could not have had a better time ! " The location makes it easy to travel to the North or South coasts... or anywhere else on Kauai. Easy drive to/from airport. The condo was very well maintained and has a GREAT view over the central courtyard pools and to the ocean. Super quiet with doors closed and the pool waterfalls are relaxing with doors opened. The resident rooster (only one compared to gaggles of them in other parts of Kauai) was relatively subdued. Very nice washer/dryer so you can pack lighter. Hot tubs are wonderful after a swim in the (somewhat cold) pool. Safeway across the street for groceries, Pau Hana Bar in the strip mall is wonderful also, Lemongrass Seafood is very good -- all three are VERY walkable. If you want great BBQ, go North past old Kapaa town to Scotty's Barbeque on the East side of the street (INCREDIBLE!). Going South? Hit Shrimp Shack in Waimea -- Coconut Shrimp is fabulous. Na Pali catamaran? Captn Andy's is awesome! However, Hawaiian Air has the most messed-up check-in at the airport. Your fight the porter service for access to the checkin people and they constantly jump the line. Jerks! Hawaiian needs to fix that problem and this would have been the perfect week -- and, that was a minor annoyance." We were very satisfied with our stay. It is a little confusing at first understanding the nature of the place. The Waipouli resort is not a hotel, but a property full of timeshares, and this particular timeshare is owned by RE/MAX. This meant that the Waipouli resort staff deferred all property issues to the RE/MAX staff, who were located in an office across the street. The RE/MAX staff maintained 9 to 5 business hours, and they were responsive to our questions when we called. The housekeeper Deani, however, was the most helpful, and provided knowledgeable and detailed answers to our questions. She was exceptionally nice. We baked her cookies before we left. The kitchen was epic: granite countertops, stainless steel appliances, fully stocked for all your cooking needs. The bedroom was a little more cramped, only because the bed was so big and had so much bedding, it was difficult to know what to do with it when you threw it off! In a day, we figured out to turn off the A/C and leave the windows open at night with the ceiling fan. Kauai is naturally air conditioned, as it turns out, and the roar of the distant ocean breakers is gorgeous. Highly recommend eating meals on the lanai (bedroom balcony). Tucked away, high up, private, beautiful view. Because the resort was full of timeshares, it turned out the resort was at around 30% capacity during October. The pool and beach were sparsely filled. The restaurant at the resort was always open. It was pleasantly quiet. - The dishwasher gave us some maintenance errors. The housekeeper was incredibly helpful to solve our problem, and the RE/MAX staff sent a mechanic just in case. - The bath water was not very hot for very long. This rendered the"
Our overall stay was good though there were some issues with the cleaning and the maintenance of the unit there was a cabinent door that we could not use with the daily dishes due to the door falling off and several lights burnt out through out the unit. I would of thought that the unit would of been in perfect condition we have stayed two years prior to this visit with the Waipouliu and never had an issue." Jun 07, 2010 - Lachlan P.
Don't expect ANY help from "Bell desk"." Excellent property, beautiful pool, very quiet at night. Restaurant/bar was nice, food was ok. Drinks were good. Room was nice and comfortable, could have been cleaned better before check-in. Hideabed mattress needs updated. Overall excellent place to stay. Would stay there again!" The kitchen floor was absolutely filthy. It had some wierd oil spots on it (that were slippery) so when we took a paper towel to wipe them up we were appalled how dirty the paper towel was. We ended up washing the floor ourselves. I hope the next guests appreciated it!" The pool was a major hit with our small kids." what a wonderful condo. I have never been in such fancy accommodations." The property was beautiful! Right on the beach and within walking distance to the stores. The pool was never over crowded (always found a chair to keep an eye on my 7yr old). And the condo itself was perfect for our family stay." "Our family truly enjoyed our first trip to Kauai and staying at the Waipoli resort in unit E-406. The view was awesome!!!. Well worth the extra $. We will tell all our friends that this is the best place to stay on the Kauai Island. Thank you for helping with making our family vacation a great and wonderful experience. Hope to return again soon!!! Jun 30, 2009 - VRA Risa K.
"Another piece of paradise found! Our stay at the Waipouli was the 10th resort we've experienced in our 5 trips to Kauai. It definitely ranks among the top! We like the sunny Poipu area in the South, but the Waipouli location in Kapa'a is great if you want to experience the East and North shores of Kauai as well. The condo was beautifully kept with nice furniture, TV, appliances, etc with all the amenities you need!! The condo, resort, pool, and ocean views you see on the website are exactly what you get - absolutely fabulous - and, for a resonable cost comparitively. For anyone wanting to stay in the Kapa'a/East shore area, I would definitely recommend the Waipouli Beach Resort!!!" Amazing place, very beautiful! Awesome location...can't beat it!" The place turned out to be exactly as described. Great location and a nice view of the pool and ocean. Our flight didn't leave until 10pm but the helpful housekeeper arranged for us to check out in the evening, instead of the standard 10am. That kind of service gives me great confidence to recommend this unit."